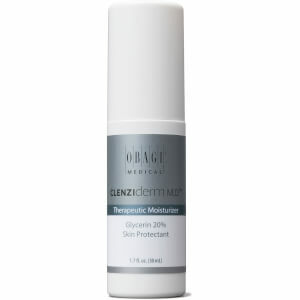 Clear breakouts with Obagi CLENZIderm Therapeutic Lotion. Cleanse the skin thoroughly before applying. Pump product once onto fingertip and apply evenly to entire face, avoiding the eyes, nose and mouth. 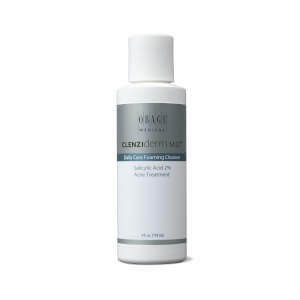 Allow Therapeutic Lotion to absorb completely before applying CLENZIderm M.D. Therapeutic Moisturizer. Because excessive drying of the skin may occur, start with one application per day. If going outside, use a sunscreen. Allow Obagi CLENZIderm MD Therapeutic Lotion to dry, then follow directions on the sunscreen labeling. Use once a day or as directed by your physician. If bothersome dryness or peeling occurs reduce application to every other day. Active ingredient: Benzoyl Peroxide 5%. Inactive ingredients: Benzyl Benzoate, BHT, Dicaprylyl Ether, Dimethyl Isosorbide, Disodium EDTA, Hydroxyethyl Acrylate/Sodium Acryloyldimethyl Taurate, Phenoxyethanol, Polysorbate 60, Propylene Glycol, Squalane, Water (Aqua).